Our campaigning is guided and supported by the input and discussion we receive from members and supporters; your participation will strengthen it. Our active Yahoo Discussion List has over 250 members. Use this link to send your subscription request. This list carries regular news updates on local and London-wide cycling issues, our upcoming meetings and bike workshops, while subscribers raise and debate any cycling-related topics they wish. List membership is open to all. We discuss our responses to consultations e.g. on cycling infrastructure using Cyclescape, an electronic forum designed specifically to assist cycle campaigners. Cyclescape organises discussions around specific issues and defined locations. You can see the currently-active issues and follow links to the discussions in them on this map. If you want to participate, the Cyclescape guide for new users explains how to register and to indicate the area (e.g Camden) that you are interested in. 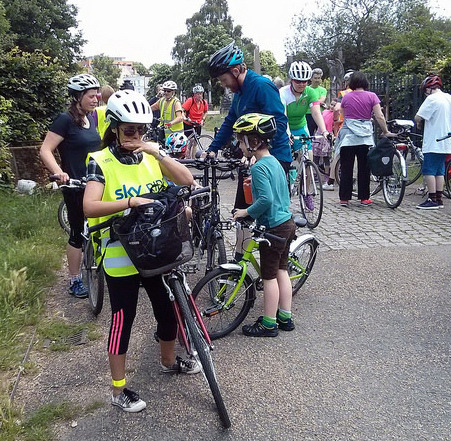 We sent out monthly email bulletins highlighting the latest news and upcoming events on cycling in Camden until we had to move from MailChimp to CiviCRM in 2018. We now send occasional emails when something important arises. Join the list of subscribers using this form. 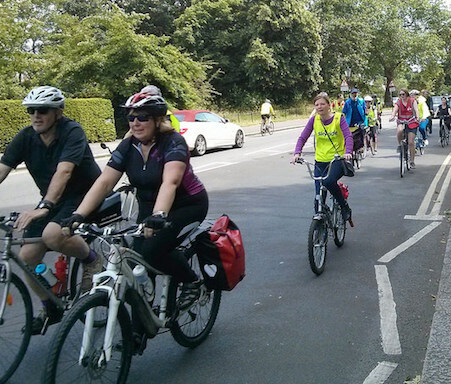 We are active on Twitter: Follow @camdencyclists. Our Facebook page has recently been resurrected but we don’t plan to make much use of it. You can find the names of our committee members and their email addresses here. You can contact the coordinator (John Chamberlain) by using this form.